Carpet tiles on sale to the public with trade prices We are a preffered retailer of Heuga carpet tiles where we have a large sample display area in our showroom we also sell burmatex carpet tiles tessera carpet tiles rawsoans carpet tiles interface carpet tiles desso carpet tiles and many more . 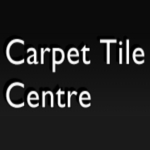 we are a long established family business that has been retailing wholesaling and contract fitting carpet tiles since 1978 as you will see from our images we have a large showroom our showroom is available for clients to view all carpet tiles prior to their purchase if required. Due to our 20 years + experience using commercial and domestic carpet tiles our sale items are selected from the top end of the commercial market majority are 1st grade carpet tiles giving high quality at a fraction of the original price. Our own label carpet tiles Haddon Hardwick and whitworth give a good mix of quality affordability and quantity . We have worked closely with most manufacturers over the years but the most prominent of all our suppliers are Heuga carpet tiles with their modern domestic ranges to suit everyone. we hope you enjoy browsing our site and welcome any feedback related to it.